I have made a choice to transition from being a vegetarian to eating clean. This is a fabulous egg salad I am making for lunch. 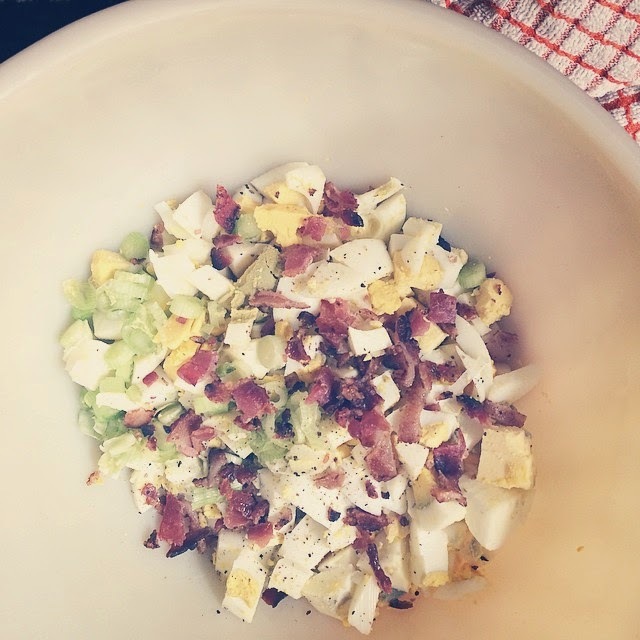 Local eggs, local bacon, organic scallions, and homemade olive oil mayo...so incredibly delicious.